Living in California, we are lucky enough to have orange trees in our backyard, and recently my husband and Little Monkey gathered up a huge bag of juicy oranges for us to enjoy. We had to many, I decided it would be a good time to try my sister-in-law’s recipe for Costa Rican orange pudding, or atol de naranja. It is delicious! Little Monkey and I ate big bowls of it before I remembered that I really should save some for the others! Atol can be translated different ways. Often it means a thick, sweet drink, as in atol de avena, the vanilla oatmeal steamer I adore. In this case, it is more like a pudding, though depending on how you like it, you can also make it even thicker, to the consistency like jello. It is easy to make and will turn out well even if (as in my case) you don’t really know what you are doing! It is a fun recipe to experiment with, by either changing up the spices or adding more or less cornstarch to vary the consistency. However you decide to do it, you’ll have a delicious, all-natural treat to share with your family! Warm orange juice and cinnamon stick on the stove. While it simmers, mix the cornstarch into the water until it dissolves. When the juice begins to boil, add the water-cornstarch mixture, taking care to stir constantly. Add sugar or honey. When it begins to thicken, remove from heat. Cool in refrigerator until thickens completely. As a busy mom to two active young kids, I spend most of my day on my feet – cleaning, cooking, changing diapers, wiping noses, or running around the park. It is easy to get burned out this way, so I try to remember an important lesson I learned from my own mother and take some time for myself to recharge and regroup. I often tend to just go go go and sometimes need a reminder to take time to just sit and relax. This is good not just for me but also for my kids, who get to have a happy, refreshed mom to play with! It’s also crucial for them to learn by example that everyone needs time to rest and take care of themselves – even Mom! As fall approaches, my favorite way to do this is to curl up with a mug of this yummy vanilla oatmeal steamer, a family recipe from Costa Rica. Known as atol, it is also a favorite kids’ drink. It is nutritious, with all the benefits of milk and oatmeal, with just a touch of sweetness. The exact amounts of each ingredient depends on your preference. For example, I like a lot of oatmeal, while others like just enough to thicken the milk. As seen above, powdered cinnamon can be used, though it will give the drink a light brown color. Be sure to check out more Mom wisdom and great ideas for enjoying milk! 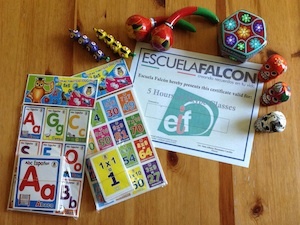 Today is Independence Day in Costa Rica, so we have had fun making a special Costa Rica craft! If you have traveled to Costa Rica, chances are that you have seen the beautiful carretas, or ox-carts, that have become a popular form of folk art. These carts, which once were necessary to carry coffee beans from the country’s central valley to the coast for export, are today used mainly as decoration. Indeed, we have several miniature versions around our house, including a refrigerator magnet! Carreta on display at a hotel in Costa Rica. Most are painted red, but all have beautiful designs like the ones shown here. The carretas are recognized internationally. In fact, in 2005 UNESCO declared the oxherding and oxcart tradition of Costa Rica as a masterpiece of the intangible heritage of humanity. Here is more information (in Spanish) on this beautiful tradition, and here you can see a present-day carreta workshop. So this past week the Monkeys and I have been hard at work to create our own carretas, to celebrate, as Monkey put it, Costa Rica’s birthday. (Costa Rica, along with most other territories in Central America, became independent from Spain on September 15, 1821). We started with two open cardboard boxes, which we gave a base coat of (mostly) red paint. They also painted the wheels – Monkey with the traditional red and Little Monkey with his own design. I had originally planned on using the tops of large yogurt containers, but the boys spotted some small paper plates in my craft bin and insisted on using those. Because these aren’t as strong, I ended up gluing several together for each wheel and reinforcing them by gluing the yogurt lids to the underside. The next day was designated for decoration, but I think the boys were not quite as excited as they had been the previous day, because after making a quick dot pattern on one side of his carreta, Monkey declared that he was finished, and Little Monkey soon followed suit. Still, there was renewed interest several days later when it was time to attach the wheels. I made holes in the boxes and wheels with a knife, then threaded them together using sturdy straws as axles. The fun thing about this craft is that you can actually play with it when you are done! Next I plan to stabilize the wheels a bit more, but for the time being the Monkeys and I are satisfied with our tico-americano creation. Happy Birthday, Costa Rica! Be sure to check out our craft last year – a Costa Rican farol (lantern)! You can also find more great ideas for Hispanic Heritage Month on my De Colores board on Pinterest. Welcome to the Third Annual Hispanic Heritage Month Blog Hop, hosted this year by Multicultural Kid Blogs and 22 of our member blogs! Don’t miss our amazing giveaway, and share your own posts at our linky! A basket from Lanugo that includes Lanugo’s new book, “Lula la Consentida,” a limited edition “Latino de Corazón” infant apparel, and Seventh Generation’s earth conscious baby product essentials. US shipping only. Hand woven and leather Guatemala coin purse, a fun and vibrant gift. Given by www.AlarconRestaurants.com – from their Gift Gallery in Antigua Real Restaurant, Mukwonago WI. This post is part of the World Cup for Kids project from Multicultural Kid Blogs. Each time Costa Rica plays, I will be doing a post on some aspect of that country’s culture. Today I am sharing about our volcano birthday party! Volcán Irazú is not (very) active, so we were able to climb up and look right into the main crater. Monkey was a little nervous about getting too close, but in the end curiosity won out! Volcán Arenal is the most famous volcano in Costa Rica, and rightly so! It is very active, and many visitors are able to see small eruptions. We were not so fortunate, but we still enjoyed the spectacular view. For decorations I relied heavily on the Dollar Store and Party City. We found plenty of red streamers (though we ran out of tape – details, details! ), plus some fun “fireworks” decorations made out of ribbons and stars. I even stuck some shiny red pom-pom gift wrap bows around. I also cut out volcanoes out of black and red poster board and taped them up on the walls. But the best find were the sparkly door streamers! The kids loved running through the “lava”! In fact, this was the last decoration to be taken down after the party – more than a week later! To be honest, for the food I didn’t worry much about the volcano theme, but for drinks I had to make “lava juice”! Really this was just strawberry lemonade, which I made by blending lemonade (from concentrate – keep it simple!) with frozen strawberries and sugar to taste. It was so yummy! While the adults got the full affect of the colorful juice in their “grown up” glasses, I wasn’t about to let hyper preschoolers run around our house with cups of red liquid. So instead I found inexpensive red sports bottles, which we labeled with each child’s name. The “volcano cups” went home with the kids as part of their favors. We kept the games low-key and open ended. I cut out some “volcanic rocks” from black poster board, which I scattered around our entryway. When the kids arrived, they were warned to stay on the volcanic rocks so they wouldn’t fall into the lava! I also set up a play dough table with a big volcano (made with a double batch of brown play dough, plus red and yellow for the lava), along with dinosaurs, cars, and trucks, all laid out on a green tablecloth. (You could also add moss, which you can find with materials for floral arrangements). I actually molded the volcano around an empty plastic salsa bottle – it was perfect! My husband even dropped a little dry ice inside for a super cool effect! Since we only have one low kids’ table, when it was time to eat we just moved the play dough and toys out of the way, along with the now messy green table cloth, to reveal a clean red table cloth underneath – easy! (The volcano is sitting inside a plastic red serving tray I found at Party City, so that was easy to keep intact). The cake was the most fun part for me. I took my favorite yellow cake recipe and used strawberry jam in between the layers – yum! (You actually also need to put frosting on the top of each layer to “seal” it from the layer above. The jam goes on the bottom of the upper layer). 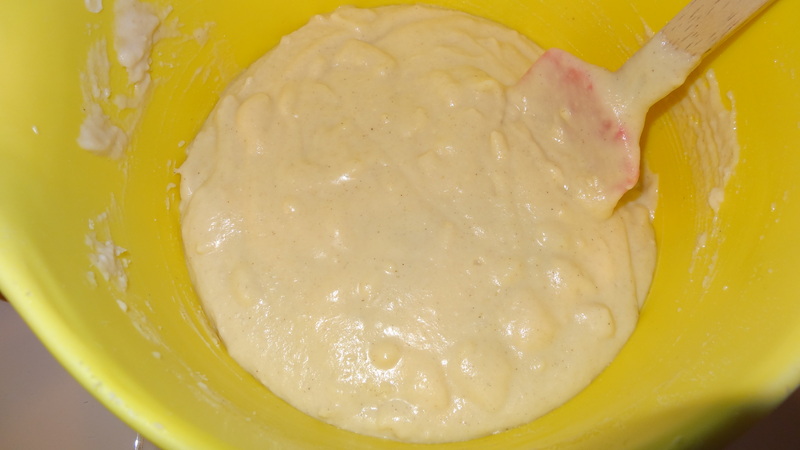 I then made several batches of frosting – brown, red, and green. The volcano, of course, was brown, with red lava coming out of the crater. The green frosting covered the base for the grass. Here is a great tutorial for making a stacked volcano cake. I couldn’t find exactly what she called for, so I did a 9 x 12 cake on the bottom (the grass), then 2 – 9 in round cakes, with a Bundt cake on top. I then shaped them all with a serrated knife. But the real finishing touch was the dry ice. (I saw this suggestion in several places, such as this volcano cake post). As it turns out, you can buy dry ice at our grocery store. You just have to be careful that the kids don’t try to touch it, but wow! It was so cool! Unfortunately a lot of the smoke had already started to fade by the time we got this picture, but it gives you an idea. For favors, in addition to a few super hero trinkets, I put together DIY volcano kits, based on this awesome tutorial from Crayon Box Chronicles. We had so much fun playing with ours the next day! They were wrapped up in my version of these cute volcano treat bags. I also had a lot of fun making these volcano hats, based on this photo I found on Pinterest. I had to figure out how to reverse engineer them, so here is a glimpse at the work in progress. I taped together a few strands of red gift ribbon and then taped that to the inside of the “crater” top (made by cutting a small semi-circle from the top of the cone). Taping the edges together was a bit of a pain, but they held together well. We didn’t want any of the kids getting scratched by a staple! I also taped a strip of red poster board along the bottom for the lava. For the straps, we used jewelry wire, which worked okay, but next time I’ll stick with ribbon or yarn. Unless you have the fit exactly right, the jewelry wire can really irritate the kids’ skin. Overall I was thrilled about how thehats turned out. I even made mini ones for Baby and another toddler friend. This post is part of the World Cup for Kids project from Multicultural Kid Blogs. Each time Costa Rica plays, I will be doing a post on some aspect of that country’s culture. Today I am sharing some of our favorite spots to visit in San Jose Costa Rica! There are lots of great museums in the San José area. For younger kids especially I recommend the Children’s Museum (Museo del Niño). It has tons of exhibits on everything from the solar system to an the human body. Monkey loved the oversized mouth you could climb inside, and he had so much fun at the “archaeological” dig. While most of the exhibits are for preschoolers and older, younger siblings will still have fun toddling around. Baby especially loved climbing into the space “rover.” We also spent a good deal of time in the baby/toddler play area. Plan to spend a whole day here! For older kids, we love the Jade Museum (Museo del Jade), Pre-Colombian Gold Museum (Museo del Oro Precolombino), and National Museum (Museo Nacional). If you are at all interested in history you will love these small but impressive museums. The amusement park in San José is tons of fun. There are lots of rides suitable for younger kids, and an indoor play space just for babies and toddlers. There are also plenty of open spaces for them to run around or just relax. I loved the recreated old San José. My favorite part is that it gave us something to do with Monkey’s cousins where language wasn’t a barrier. You simply can’t go to Costa Rica and not visit a volcano! And luckily for you there are two within an easy day trip of San José: Irazú and Poás. Two pieces of advice: go early and dress warmly! The fog tends to roll in by early afternoon, making it nearly impossible to see anything. And because you are going to a high elevation, it will be chilly, no matter what time of year – As in, I wish we had worn out winter coats! At Plaza de la Cultura, you get a glimpse of the old San José, when people still hung out at the plazas. This is a must visit if you want to give your kids a flavor of community life in Costa Rica, as you can find the traditional vendors, and people strolling through or taking a lunch break. Be warned that it is located in a busy section of downtown San José, so if you do visit you should be alert, just as you would be in any large city. Again, I included this one to give a flavor of the older parts of San José. While the Mercado Central is still an incredibly busy place, these days many people prefer to shop at a mall. Still, there is something about the crowded stalls and requisite haggling over prices that I love. A great place to go people watching! Sarchí is a beautiful town nearby San José, known as a premier place to shop for artisan goods and souvenirs. There are many different shops to visit, plus great places to eat. This is more for older kids, though younger ones will enjoy a brief visit to look at all the amazing handicrafts. We had so much fun visiting this enormous Farmer’s Market in Zapote, a part of San José. While there are many farmer’s markets in San José, this one is probably the biggest. You can find so many wonderful fruits and vegetables here – all much bigger (and cheaper!) than you would find in the US. For younger kids, I recommend bringing water, as it can get very hot and there is not much shade. We were also glad to have an umbrella stroller handy, as it can be a lot of walking for younger kids. Okay, okay, I can hear you groaning. No one really plans to go to the mall when visiting another country, but let’s be real – It’s a great, easy place to cool off and wind down with your kids, especially since it can feel very familiar to them when traveling abroad. So if you do find yourself looking for a mall, I recommend Terra Mall in Escazú (a more upscale part of San José). If your kids need a little break from culture shock, they will feel at home walking around here. Plus little kids will have fun riding on the kids’ train that winds its way through the mall. And then there’s the movie theater – Have you ever heard of VIP seating? I hadn’t, but now I wish we had it here! It costs a bit extra (though still far less than you’d pay in the US), and for that you get an assigned seat, a really comfy seat, lots of leg room – and a waiter! No more waiting in line for popcorn, baby! Downside, of course, is that kids’ movies are all dubbed in Spanish, so this will be challenging for kids that aren’t fluent. Of course, with the World Cup going on, how could I not mention every Costa Rican’s favorite sport? To really get in touch with Costa Rican community life, just stop by the football pitch, or la cancha. There are easy to find in most any neighborhood in the city, and usually on the weekend this is where you will find the “guys,” hanging out and playing in informal leagues. And if you have the means, you can also go to a game at the new national stadium in the La Sabana area of San José. It is a beautiful modern stadium, where you can catch a battle between rival Costa Rican teams (go Liga!) or international events, such as the women’s soccer under-20 championship this past spring. This post is part of the World Cup for Kids project from Multicultural Kid Blogs. Each time Costa Rica plays, I will be doing a post on some aspect of that country’s culture. Today I am sharing about one of our favorite snacks! Many countries throughout Latin America have some version of the empanada – the hand-held savory pastry that has echoes of the Indian samosa and Cornish pasty. The Costa Rican version is made with corn meal and is typically filled with a black bean mixture or just cheese, as in the recipe below. If you visit with families in Costa Rica, chances are you will be treated to these tasty snacks, which kids there love (including mine!) They are usually served mid-afternoon, along with a good cup of coffee (for adults) and agua dulce for kids. 1. Mix together the Maseca, salt, and spices then slowly add water until you get a dough-like consistency. (This for me is always the difficult part, determining when the masa has just enough water without getting too soggy). 2. Pinch off a small portion and form into a ball. Flatten into a disk. (There are tortilla presses you can use, though many people just use a plate. It also helps to form your disk on a piece of plastic or wax paper, which makes the folding in Step 4 easier). 3. Layer grated cheese onto one side of the disk, leaving a margin of roughly 1/4 inch. 4. Fold over to form a semi-circle. Pinch together the edges. 5. Fry in an inch or so of oil, turning halfway through until golden on both sides. Drain on paper towels and serve warm. I am so thrilled to be participating in the incredible series put together by my friend and fellow Multicultural Kid Blogs board member Annabelle of piri piri lexicon. In this series readers get a chance to tour neighborhoods from all over the globe – from France and the Brazil to Kansas City and San Francisco! Go to the main page for a full schedule of stops in this virtual world tour. Here is my glimpse of San Jose Costa Rica. I saw a number of nice playgrounds around San José, but they seem to be a relatively new concept. Back in the “old days” people tended to congregate in plazas, as in so much of Latin America. Now many Costa Ricans view the plazas as unsafe, and instead tend to hang out at the mall or on their own streets. This playground was new since our last visit, and the entire time we were there I never saw any kids playing. I mentioned this to a friend, who assured me that kids do play at the playgrounds, but only during certain times of day, to avoid the heat. Once upon a time, everyone got around by bus. While for many people this is still the case, more and more people are buying cars. Because they are relatively expensive, it is unusual for a family to have more than one car, and they tend to be small. But everyone’s preference would be to have some kind of hardy 4 x 4, a necessity once you leave San José and travel onto the less reliable country roads. (Roads are notoriously difficult to maintain in tropical countries, plus Costa Rica is particularly hilly and mountainous). If you are without a car but don’t want to take the bus, many people don’t mind paying a bit extra for a taxi so they can get where they are going more quickly. This neighborhood is very quiet. Most people stay in their own homes, and usually the only person you see walking around is the “watchaman,” or neighborhood security guard. In another part of town, however, the scene is very different. There kids were usually hanging out in front of their houses and playing games in the street, and there was a much stronger sense of community. This photo is of a local elementary school. We happened to be there on presidential election day, when this photo was taken. The school was being used as a polling station, and you can see the yellow and red flags of one of the political parties. While more and more people are shopping in malls and grocery stores, I couldn’t resist posting photos of the still thriving farmer’s markets, or ferias. In many neighborhoods there are also produce trucks that drive by so you can buy your fruits and vegetables right outside your doorstep! We hope you’ve enjoyed this tour of San José, Costa Rica! Be sure to visit the other stops in this tour of neighborhoods around the world! My mother-in-law is a wonderful cook, and whenever we visit I try to soak up any cooking tips and recipes from her that I can. Unfortunately, with a little Monkey running around, this is not always easy to do! Luckily, when we visited Costa Rica this past summer I managed to get her recipe for tamal asado, a delicious corn cake that I and my little Monkey loved. 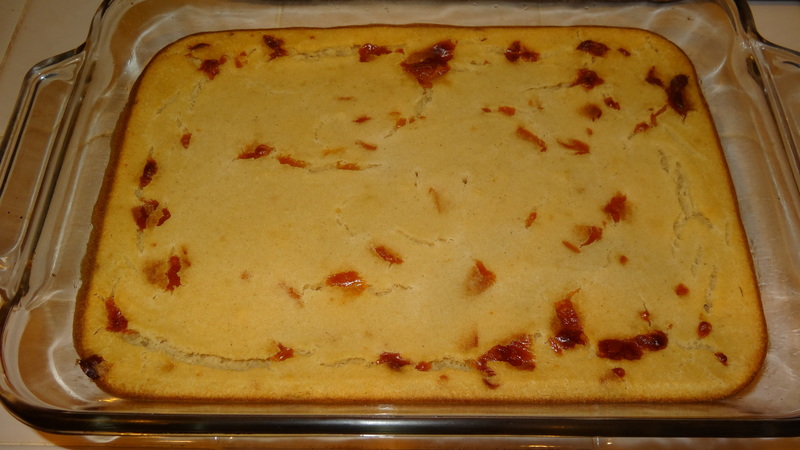 It is perhaps better described as sweet cornbread, since it is not super sweet and does contain cheese, but it is sweeter than most cornbread we are used to in the US. – ¿Cuánto leche? ¿Un litro? How much milk? A liter? – Si, puede ser. Yes, that could be. – Y ¿la maseca? ¿Cuánto anadió? ¿Una taza? ¿Dos? And the Maseca? How much did you add? One cup? Two? – Sí, más o menos. Yes, more or less. – Y ¿agregó huevos también? And did you add eggs, too? With my sister-in-laws’ help, we did manage to write down a recipe, which I then took home and tinkered with a bit to figure out the exact amounts. I was pleasantly surprised that it turned out well the first time! The real test, of course, came when the boys (little Monkey and Daddy) tried it. Monkey wanted more, and Daddy had several pieces! I couldn’t have been more pleased 🙂 The only difference we did notice is that my version cooks up rather pale, while my mother-in-law’s tamal asado is always a beautiful yellow. Otherwise, it looks and tastes (pretty much) just like home! Here is how you can make your own tamal asado. It seems to be one of those recipes that every family does a bit differently, so I have also included below links to other versions I found on the internet. Enjoy! Milk (leche), 2 3/4 c.
Baking powder (royal), 1/2 t.
White cheese (queso blanco) (Monterey Jack is best), grated, 1 c.
Preheat oven to 350 degrees and grease a 8 x 11 glass pan. Combine first four ingredients in bowl, then add the remaining ingredients. Do not worry if at first the batter seems very soupy. The Maseca will quickly absorb the liquid. 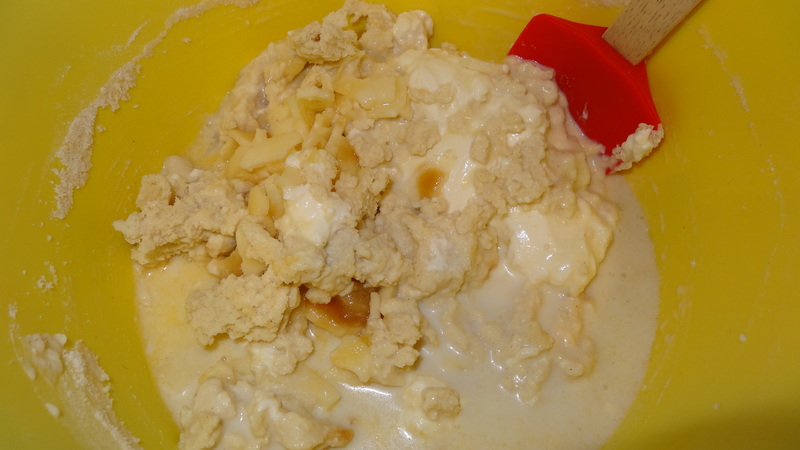 If it is still soupy, let sit for a few minutes so that the liquid can absorb; you can also add a bit more Maseca if this does not help, or more milk if the batter is too dry. 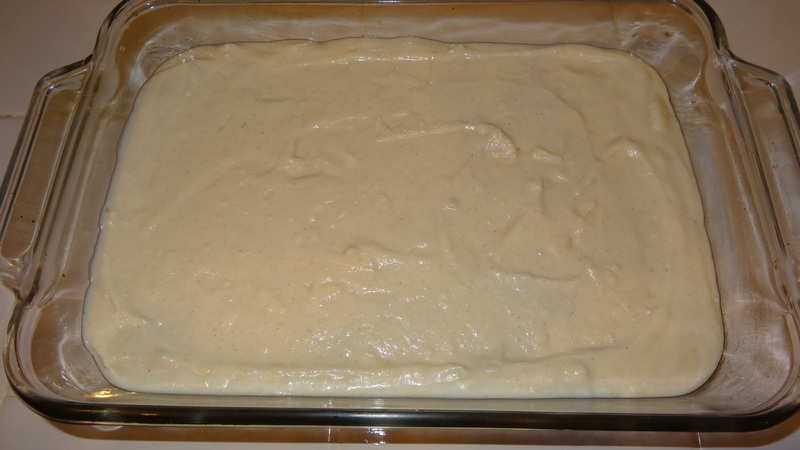 Pour batter into prepared pan and bake for 45 minutes to one hour. (I baked mine for an hour, but my oven tends to be a bit slow). Test with a knife to make sure it is baked through, but don’t overcook, as it can quickly become dry. The finished corncake should be moist. This post has been shared at Milk and Cuddle’s Mommy Club and True Aim’s Mom’s Library.